Our website offers a range of our products at fantastic prices. If you can't find something you're looking for here, please contact us and we may be able to source it for you. As this site is linked to our shop stock - Everything showing as in stock, is actually in stock! Please note we're closed on Monday 1st April - for our annual stock take. 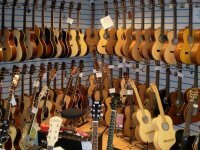 With the exchange rates the way they are at the moment- none of our website prices are cast in stone - so if there's something you're interested in please ring 01772 251407 and speak to a real person! 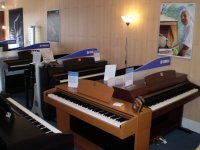 We have details of our Musical Instrument Rental Scheme and our comprehensive Repair service on line. Click on the buttons to see the information. As we progress we will make this site an interesting, interactive and entertaining place for people with an interest in music. If you have any suggestions, contact us and we will do our best to accommodate your needs.